Proprietary technology and an advanced port design make your music, games and videos come alive with striking clarity and impressive low notes at any volume. And all that sound pours from just two speakersno need for a bass module. 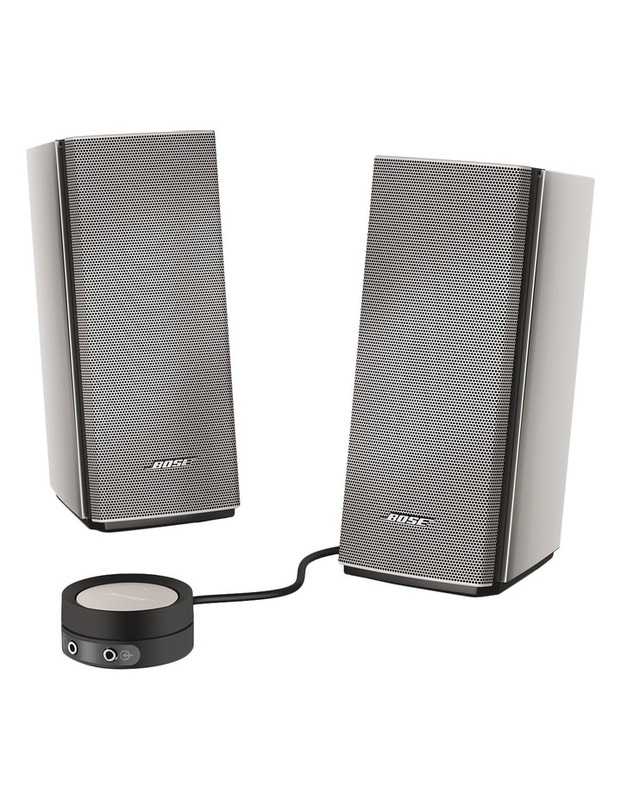 With a few quick connections, you can enjoy the wealth of content on your computer with rich Bose sound. - Proprietary TrueSpace stereo digital processing circuitry creates a wide two-channel soundstage engineered specifically for listening at your computer. - Versatile control pod features rotational volume control, single-touch mute, headphone jack and connection for a second audio source, such as an MP3 player or a tablet. - Advanced port design and driver deliver powerful low-note performance and full, natural sound that fills the room. - Proprietary integrated signal processing delivers lifelike performance at almost any volume level. - Active electronic equalization balances low, mid and high frequencies for more natural tone and clarity.